We continue the fight against BP for our clients who have been harmed by the April 20, 2010, oil spill in the Gulf of Mexico. We have over 1,000 lawsuits filed before Judge Barbier in the Eastern District of Louisiana and over 1,000 claims filed with the Deepwater Horizon Economic Settlement. If you, or anyone you know, has been implanted with Transvaginal Mesh, call our office TODAY to discuss how our law firm can help you. 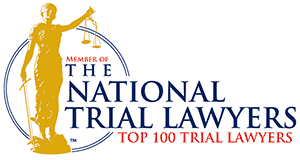 Samuel T. Adams has been elected into the National Trial Lawyers Top 100 Attorneys for two years in a row. Click here to learn more about Mr. Adams and how he can help you.